I'm trying to learn how Agavi's validation system works. I wrote a writeup on my wiki. before sending a new page request, the server checks the differences on what the client already has, and what its going to sent. the difference is then compressed and sent, browser on the client patches it. this should provide amazing improvement. What kind of files? Generating a diff from file A and B, where A and B are totally unrelated files, results in a file which is more or less the same size as B. Therefore, this won't provide "amazing improvement". Browsers already support caching and HTTP compression. Governments should aim to provide affordable broadband access for all citizens, in the same way they provide access to affordable water, electricity or shelter. The government needs to subsidize the various brodband access methods out there. Things like Brodband over Power lines, and low orbit satellites. We've spent 7.4 trillion, one would think there is some money in there to fund this stuff. Government subsidy? Do you know where that money comes from? From taxes, of course. Are you suggesting that people who don't use the Internet will subsidize people who use 1TB of bandwidth per month? Good thinking! 2 ways to make the web faster, 1st one is stopping illegal contents, spams & peer2peer streams, to access & saturate large % of ISPs bandwidth; the 2nd one is replacing the customer's outdated PSTN cables by optic fiber, but how will pay THE BILL ? You want to censor the Internet? Die, communist, die! Okay, I'm sufficiently annoyed with the ideas posted in Google moderator. Most of the ideas posted there are not new, and they can be implemented with existing technology. The sad thing is, people vote them up. most websites are templated on the serverside, and for most websites every page you view means about 20% of data transfer is the template. the template should only load once, and should be done in browsers. You mean like XSL Transformations, which is already implemented in several Web browsers? You mean like The Coral Content Distribution Network? Extend HTML? Oh, so you mean like XHTML, or the Extensible Hypertext Markup Language? You mean like XHTML Strict? You mean like using caching settings in the HTTP header? Many headers that are being sent as part of every HTTP req. and resp, though all HTTP headers are optional. Web servers have to rethink on file naming and their url references. Smaller data to be transported means faster transport. What kind of rethinking? What kind of URL references? What kind of naming? And save what, 8 bytes? Why don't we have an alternative to HTML? I mean open source, anyone can commit changes to the source, and a group oversees which changes are actually put in place. HTML5 will not be released till 2022, and that's when you realize it's ridiculous. What's ridiculous is that you think HTML is a program. There are no VMWare Server clients for Linux and Mac OS X. VMWare provides a Web UI for its server, but it requires a plug-in that doesn't work* on non-Windows platforms. SSH into the VMWare Server. Navigate to the VM folder, and edit the *.vmx file. Connect to your VM using a VNC client. I'm currently using Chicken of the VNC. You might want to google for a client that suits you. If you need to connect to multiple VMs, simply use a different port (5900 for display :0, 5901 for diplay :1, etc). I haven't tried this with VMWare ESX Server. I'll try this in the office tomorrow. * It somewhat works in Linux. Here are the steps on importing VMWare Fusion disk images to VirtualBox. First, create a hard link from your VMWare package. simoncpu@soulfury:~/Documents/Virtual Machines$ ln -h "Debian Linux.vmwarevm/Debian Linux.vmdk"
You can move or copy it anywhere you want. What's important is that it's accessible outside the original directory because Mac OS X doesn't treat the package as a navigable directory. 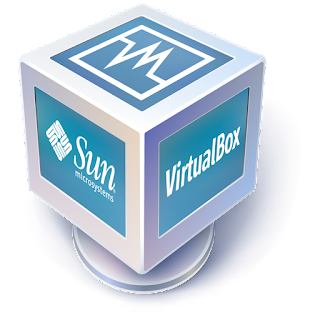 Next, create a new VirtualBox VM. In the "Create New Virtual Machine" wizard, select "Use existing hard disk" and open the Virtual Media Manager. Click "Add", and navigate to the hard link that you've created earlier. Change your VM's settings and go to the Storage tab. Next, check the "Enable Additional Controller" checkbox and select any SCSI controller from the drop down box. In the Attachments section, change your hard disk's slot from IDE Primary Master to SCSI Port 0. Click OK, and start your VM. My PHP script downloads a series of binary patches and places them into a directory for further processing. It also creates lock files to prevent two or more instances of my script from being run. When the script receives a SIGINT (Ctrl+C) or SIGTERM signal from the OS, my script is prevented from cleaning up the temporary files, which usually occupies hundreds of MB of space. The lock files also become stale, so my script prevents itself from being run until the next reboot, when the /tmp directory is cleaned up. I'm currently writing a PHP script that pushes live log data to the front-end UI. I'm using a streaming Comet model such that my back-end would update the front-end's screen every time the log file is updated. Get the SHA1 hash of the commit that you wish to revert to. To go back to the "original" HEAD, find its SHA1 hash and reset your current HEAD to that state. Note that you need not use the full SHA1 string to refer to an object. The first few characters is enough. I'm currently merging our IPv6 changes to pfSense by hand so that I can commit our changes upstream once their migration from CVS to git is complete. "With a thousand eyes, all bugs are shallow", they say. Sharing this code to the world will most likely uncover many bugs and make our code more stable. I just hope that with a thousand eyes, I won't receive a thousand flak from users in case I break something. When enabling IPv6 using server.use-ipv6 = "enable", lighttpd no longer listens to IPv4 requests.